I am trying to create code to check for intersections between bounding spheres and the mouse. 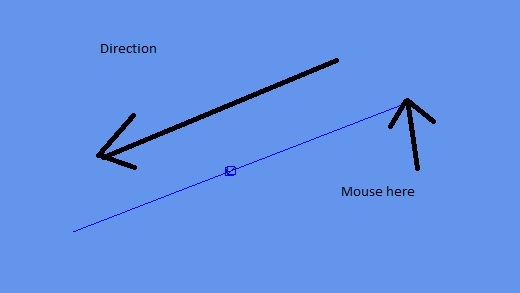 I get a mouse ray but it doesnt seem to point in the direction you think it should Attached is a screenshot and code. If anyone can help I would appreciate it as this is driving me crazy. As it turns out the code is correct and my problem was with the rendering of the ray itself. I was calculating a world matrix when the coordinates were already in worldspace. Not the answer you're looking for? Browse other questions tagged c++ directx directx11 raycasting picking or ask your own question. Why can't I create direct3d objects? Why doesn't SDL_Surface rendering work in SDL2? Why doesn't TriangleTests::Intersects from DirectXMath work correctly? Why are coordinates converted to [-1, 1] during mouse picking? Why are points adjusted using the projection and inverse view matrix during picking?